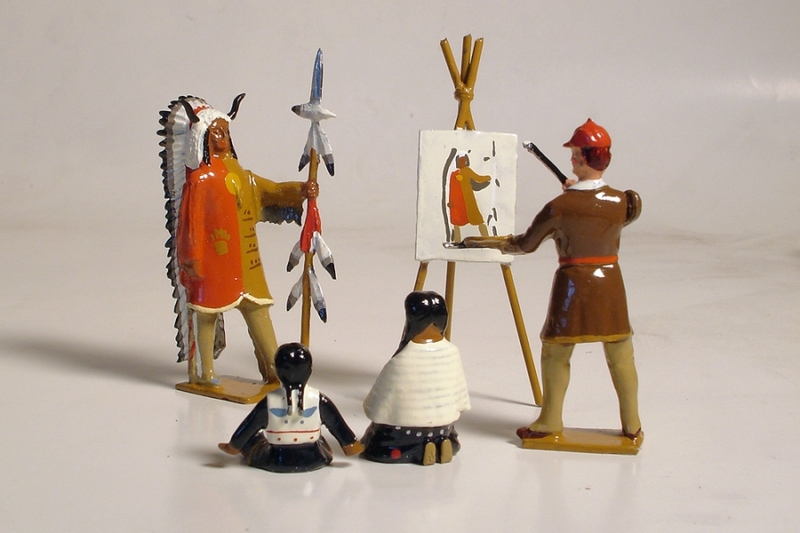 Both sets depict American artists recording the indigenous peoples of North America:George Catlin in oil paint during the Jacksonian era of the infamous Indian Removal Act of 1830 and the Trail of Tears and Edward S. Curtis in photography in the early decades of the 20th Century after the closing of the frontier as announced by historian Frederick Turner in his lecture "The Significance of the Frontier in American History" at the 1893 World's Columbian Exposition and the 1890 Wounded Knee Massacre. Anthropologists and art historians refer to the visual records made by Catlin and Curtis as examples of the "Salvage Paradigm" : " A general mode of operation in which a dominant culture, usually Eurocentric, perceives a subordinate culture as dead or dying and attempts to save or salvage it from oblivion. " 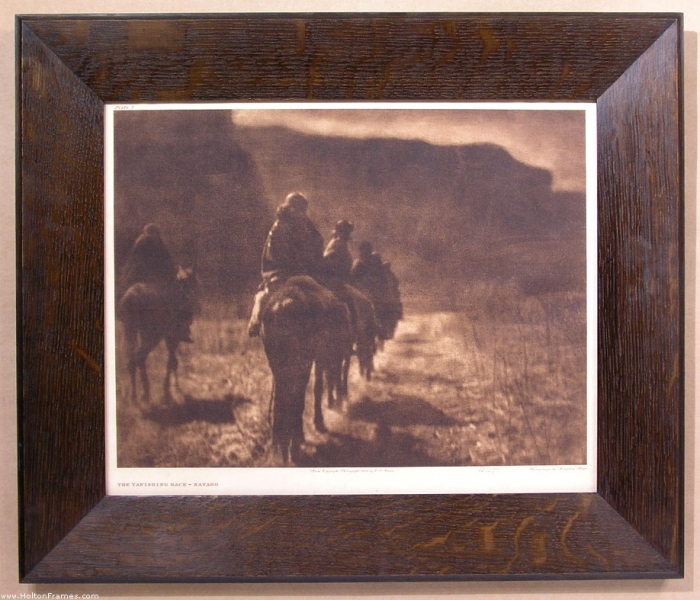 The title of one of Curtis's most famous photographs and its iconography illustrate this idea very well: The Vanishing Race attached to this post. Do you have any idea of when the Catlin set will go into production and do you have any photos of this set or the Curtis set that you could share with us? I did find this photo on TF from OTSN 2009 that shows part of the Curtis Set. The photo above shows the Navajo set minus the hogan - I have yet to summon the courage to sculpt the hogan.. I am still debating about the Catlin set. 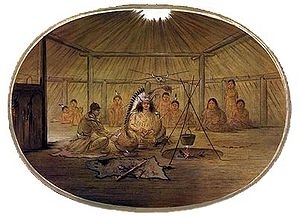 Although his own self portrait shows him surrounded by braves, I have read that it is unlikely that a chief would expose himself to such potential ridicule and would have more likely posed in his lodge. 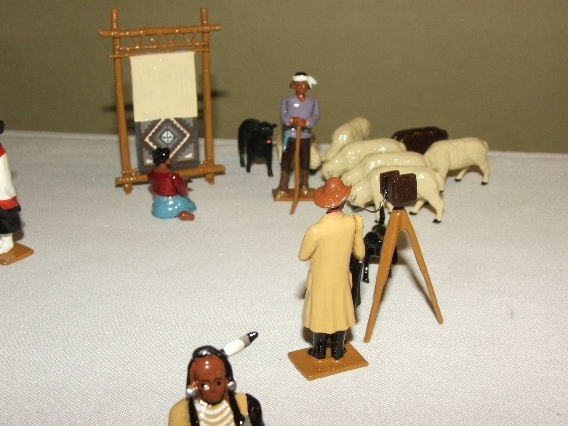 For the Chicago show, I grabbed a couple of figures from the Sioux Encampment set to represent the women and children that would have been watching. 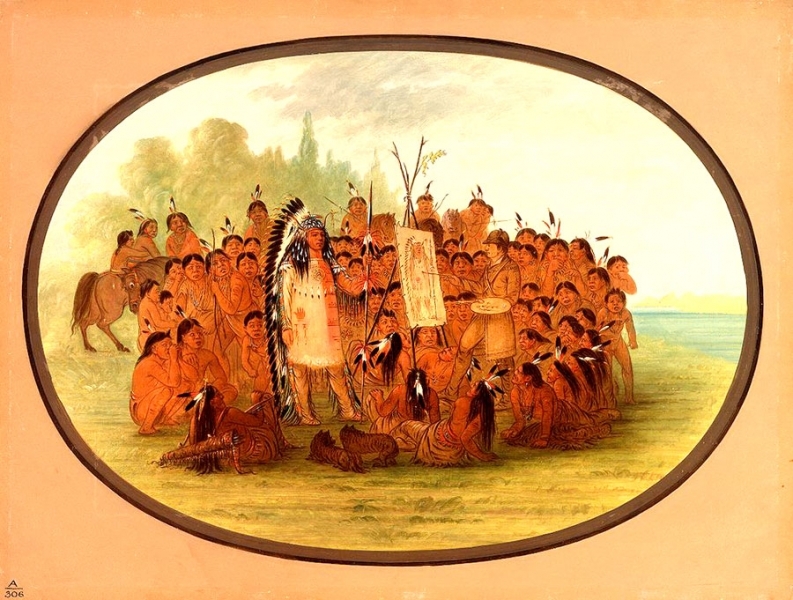 The Mandan women of the period would have been in leather clothing. The kids would be naked. I may still do it with the braves, thinking, as Catlin no doubt did, that it is a much more interesting vignette. This is Catlin's lodge interior.